This is my tribute to Great Illusion. This one is by Edward H Adelson. 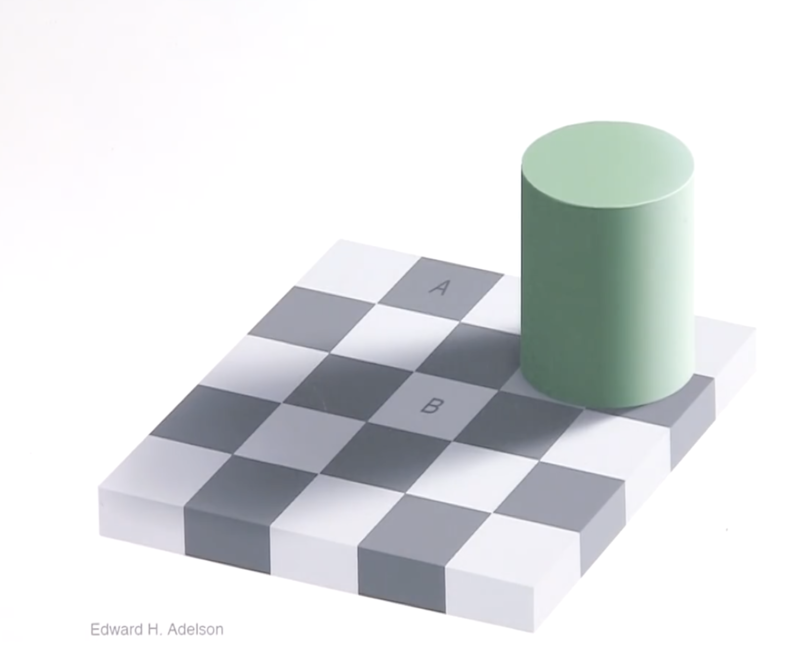 Square 'A' is the same colour as Square 'B' - yes really ! Prove it by masking all other squares. Don't always trust what you see. The mind can play strange tricks ! Great photo ! That's my boy !